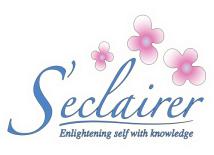 S’eclairer was founded in July 2004 with the purpose of providing integrative psychiatric care based on the art and science of wellness principles for recovery. Integral to these wellness principles for recovery is the wisdom taken from the East and West that informs and shapes the treatment services that complements the healing of a person’s body, mind, self, and soul in an original, compassionate, and relaxing environment. These treatment services focus on the supportive care that empowers individuals, families, and communities with behavioral, mental health, substance abuse, and/or developmental issues so as to sustain their recovery and achieve a lifestyle of wellness. Sustaining recovery with an inner balance that promotes a lifestyle of wellness is integral to S’eclairer’s integrative psychiatric practice. The treatment services that complement the mental health therapies and medications support this inner balance for recovery. The dedicated treatment services that complement recovery are performed in the artistic and healing environment of S’eclairer. This seamless connection makes it easy to access different therapies on the same day.